In an attempt to placate his disgruntled players, facilitate team unity, stem the tide of transfers and quiet his many critics, first-year head coach Randy Edsall has taken his entire Maryland Terrapin football team to the beach on the Gold Coast in Australia. 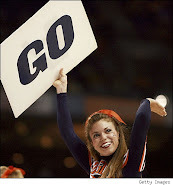 Edsall won the first ever ACC Coach Of The Year (NOT!) Award which will now be awarded annually to the coach whose team backs up the most in any year following a year when the previous popular and winning coach wins the actual ACC Coach Of The Year Award. For reasons still unexplained, the brain trust that is the University of Maryland athletics canned popular football coach Ralph Friedgen after a 9-4 season. Fresh off a dismal ten-loss season in 2009, the Fridge’s Terps rebounded with a turnaround season in 2010-11 that included a win in the Military Bowl and a #23 ranking in the final AP Poll. The ACC named Friedgen Coach of the Year, while freshman quarterback Danny O'Brien became the first Terrapin ever named ACC Rookie of the Year. 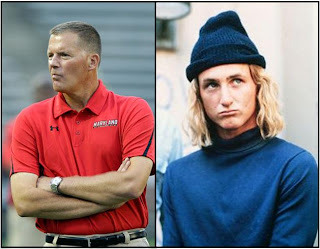 Edsall, known for his laid back style and killer imitation of surfer dude Jeff Spicoli in the cult classic Fast Times At Ridgemont High, reverted the now fearful turtles back to 2009 numbers posting a 2-10 mark amidst grumbling and multiple transfers. A week at the beach ought to do the trick. *Items in italics may not be true. Items NOT in italics are believed to be true.